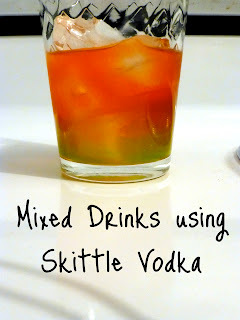 So now that you have made your Skittle Vodka I am sure you are wondering what the heck to do with it, right?? That is a very easy answer – anything you want! Here are a few mixed drink recipe ideas – a few pretty basic ones and then a couple fancier ones. All of these were made using a standard shot glass as the measuring cup. Flavored Sprite – pick any of the vodka flavor(s) and add them to Sprite (mixing the red Skittle and purple Skittle vodka was my favorite!). Again the ratio will depend on personal taste but I do a 1:4 oz ratio. 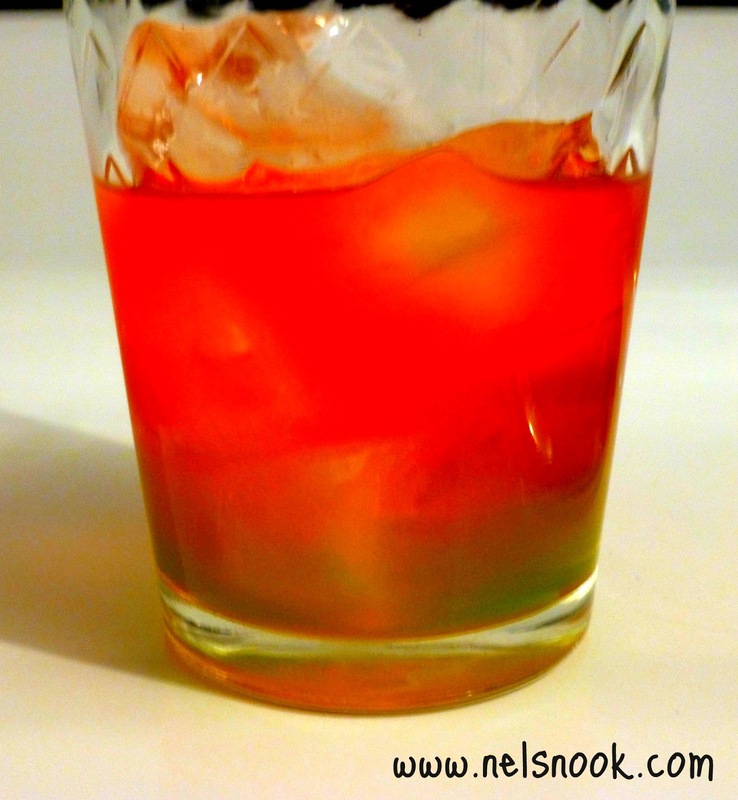 Hard Strawberry Lemonade - Add red Skittle Vodka to lemonade. Hard Lemon Iced Tea - Add yellow Skittle vodka to iced tea. These last two are a little fancier and would be perfect with a little umbrella in them on the beach! In a tall glass with ice. In a tall cup, fill it half way with ice. The last two drinks don't have names - it was a hmm what do I have in the fridge kind of mixing - so I am going to leave it up to you to name them! Leave a comment with what you think the names of the last two drinks should be! 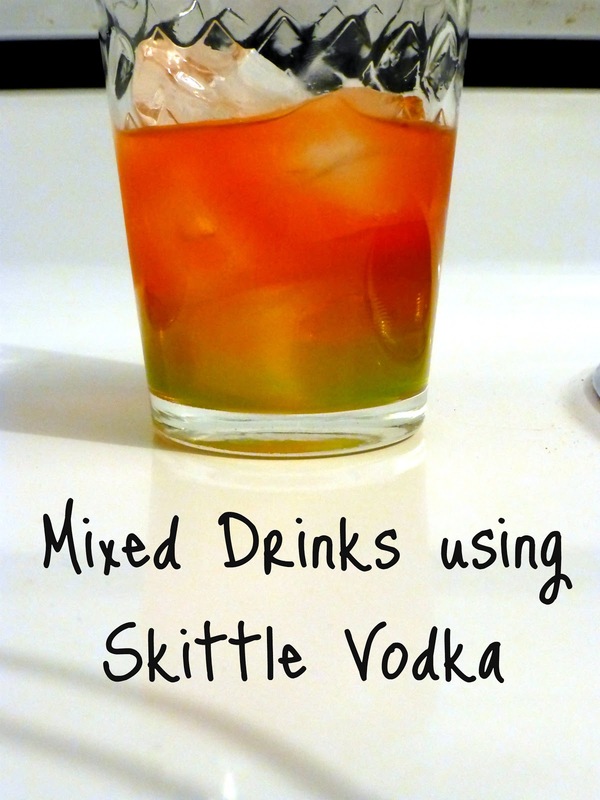 Have you made Skittle vodka yet? If so, what do you mix it with? If i would try it with this recently discovered vodka http://www.drinkupny.com/AnestasiA_Vodka_p/s1322.htm ,how could it taste like. So excited, thanks for sharing the articles above. Hi Amanda! 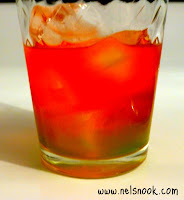 I have never heard of that brand of vodka before but if you make Skittle vodka with it (receipe here: http://www.nelsnook.com/2013/01/how-to-make-skittle-vodka.html) you will have to let me know how it turns out! Great ideas. Boring sometimes just having shots of Skittles vodka. Thanks for stopping by! They are the perfect color for Christmas-y drinks and they are so good! I hope you like them. 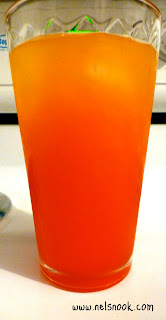 Can I use orange skittle vodka in place of a orange vodka in drinks like 007 or would it be too sweet? Sorry the for the delay with my response. I have used it in place of other flavored vodkas - it does add a little more sweetness so usually I just add a little less of whatever else I am mixing it with.